Payment was not authorized and payer contacted bank/credit card issuer to cancel payment. ACH payment failed due to insufficient funds. ACH payment failed due to wrong account number entered. Chargebacks are disputes issued by your customer regarding a transaction. Chargebacks may be issued by the their bank, their credit card issuer, or our bank processor. For a payor who initiated a chargeback, there is typically a waiting period to return the funds to the payor while the card issuing bank investigates the issue. The bank may send the funds back to the payor during this time at their discretion. A payor typically has up to 6 months to initiate a chargeback. The chargeback process involves a charge being disputed, the disputed being issued by one of the aforementioned financial institution, and the issuer of the disputed charge offering evidence (if any) of the charge's legitimacy. Evidence often takes the form of a signed receipt, shipping & handling labels, confirmation of receiving the good or service, or any other evidence that shows the transactions validity. You can learn more about overturning a chargeback here. Unfortunately banks and credit card issuers charge fees for handling disputes, regardless of the dispute's outcome. This fee is passed on to the merchant responsible for the transaction being disputed. The cost of disputes is $35, and it is removed immediately from any available funds. 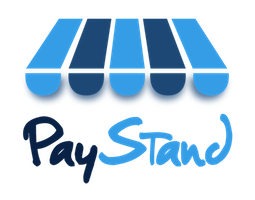 If funds are not available, PayStand reserves the right to pursue retrieval of these funds through the merchant's credit card or checking account.